After a four-year run, CMC’s website was overdue for an update and redesign. Since January that process has been underway and today the new version will launch. The visually dynamic new homepage is aimed at conveying the College’s unique qualities and approach to liberal arts education. It is also based on solid research on the best practices and the preferences of prospective students — an important audience for the homepage. 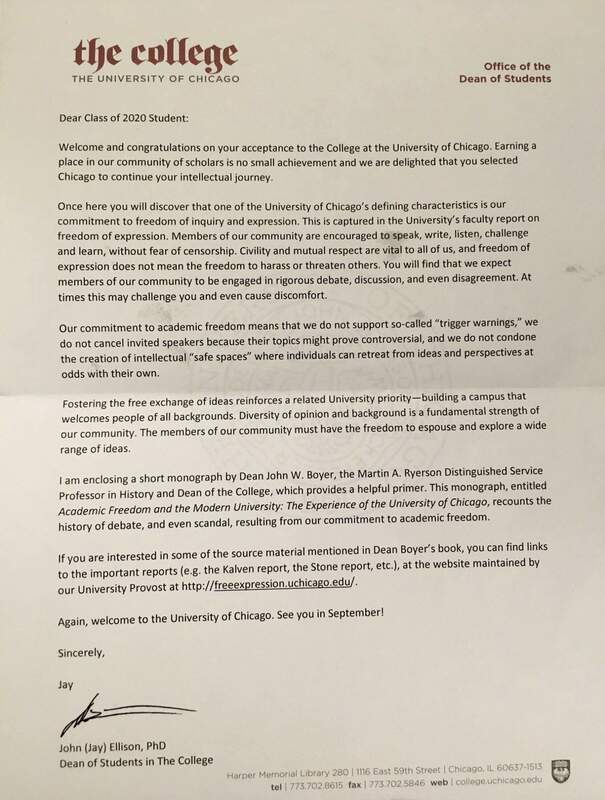 In recent days, we have seen much debate about free expression on our campuses, in part provoked by a letter from the Dean of Students at the University of Chicago to incoming students. Some have asked about CMC’s position. For many graduating high school seniors, there is nothing quite like the feeling of exhilaration (and relief!) on being accepted into a college or university of their choice. And for college-bound students who have staked their hopes on Early Decision acceptance from a particular place of higher learning, the experience can be even more exciting. Early decision is a common policy used in college admissions in the U.S. for admitting students to undergraduate programs in which candidates consider a certain institution to be their top choice. In making a $25 million gift that will benefit the five undergraduate campuses of The Claremont Colleges, Rick and Susan Sontag hope to help some of the nation’s most talented students harness their creative potential to make a difference in the world. U.S. News & World Report today released its 2016 edition of Best Colleges on September 9th, ranking Claremont McKenna College No. 9 in the “Best National Liberal Arts Colleges” list. CMC is tied in ninth-place with Davidson College and the United States Naval Academy. Today Claremont McKenna College President Hiram Chodosh announced that he has named Peter Uvin, currently the Provost and Professor of Political Science at Amherst College, as CMC’s new Vice President of Academic Affairs and Dean of the Faculty. I am pleased to announce that Peter Uvin, who currently serves as Provost and Professor of Political Science at Amherst College, has been selected as our new Vice President of Academic Affairs and Dean of the Faculty. Peter will succeed Nick Warner, to whom we are all deeply grateful for his effective and thoughtful leadership during a successful two-year transition. Among the many traditions at CMC is its enviable track record in the number of students who win scholarships and fellowships among a nationwide (sometimes worldwide) field of highly competitive applicants. And this year is no different with CMCers finishing in the top rank of some of the most prestigious academic awards programs in the U.S. To date, 21 students from CMC have received grant awards this year from some of the world’s leading academic institutions. Following is a list of CMC students who (as of April 1st) have received scholarships and fellowships.